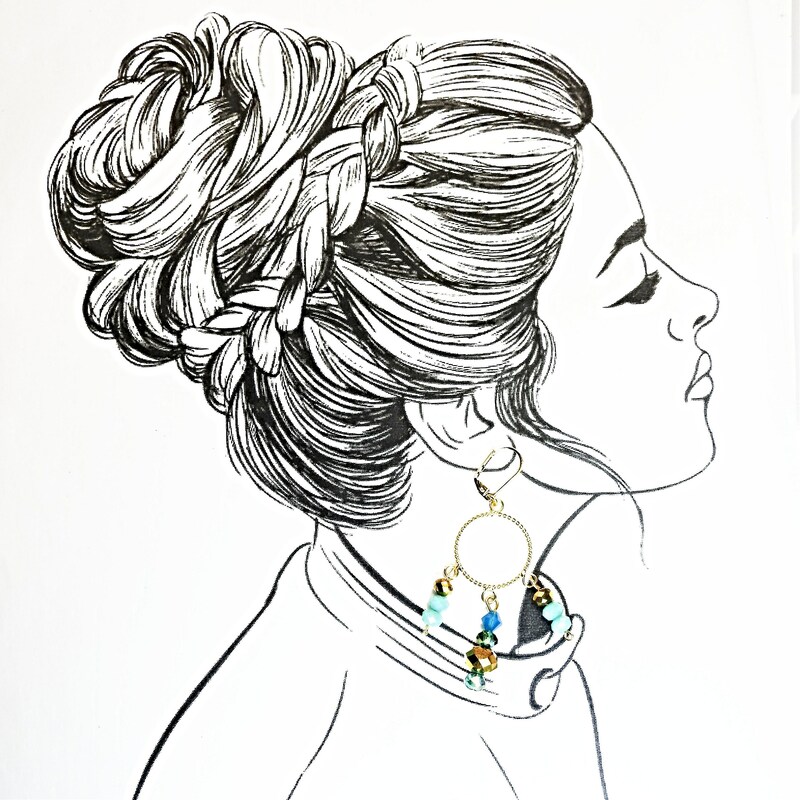 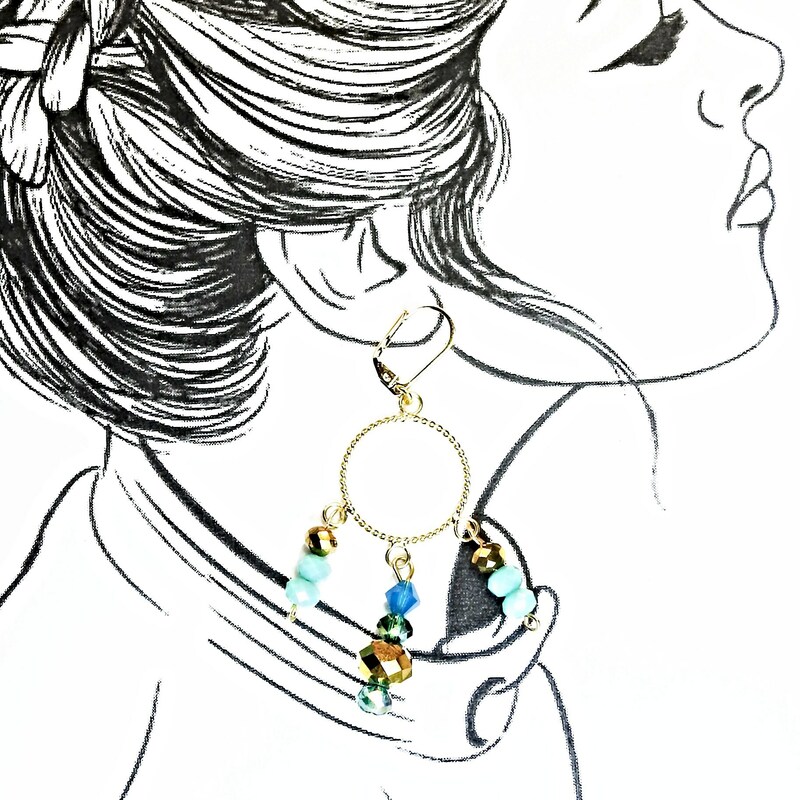 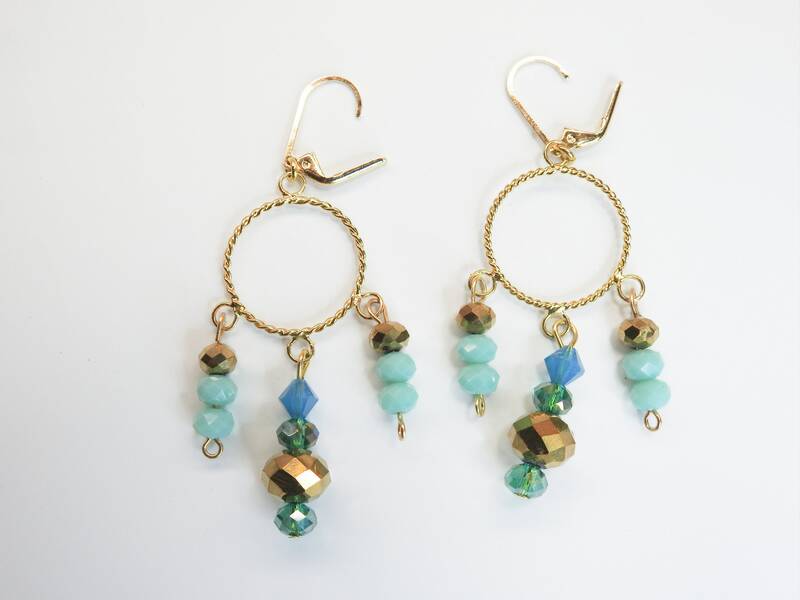 Take a moment and check out the new dangly hoop earrings with beads! 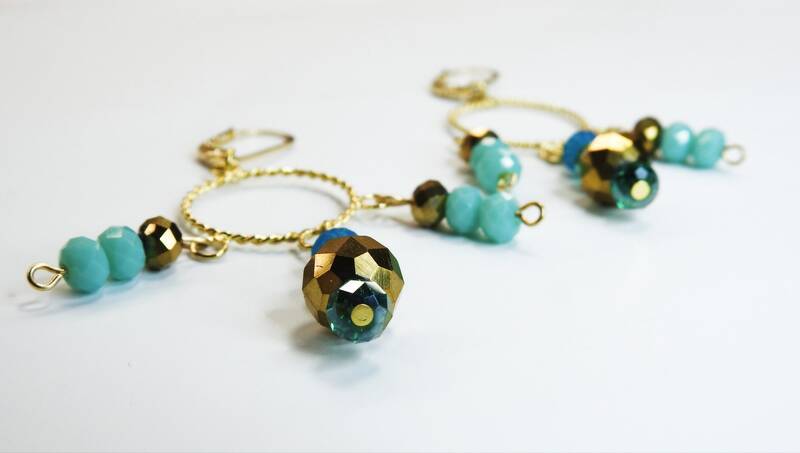 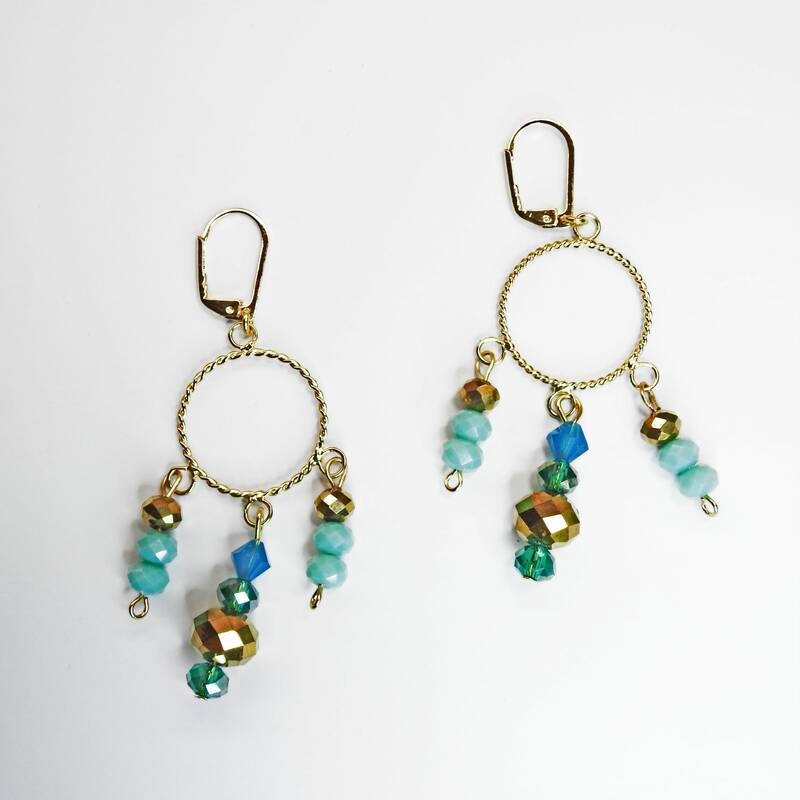 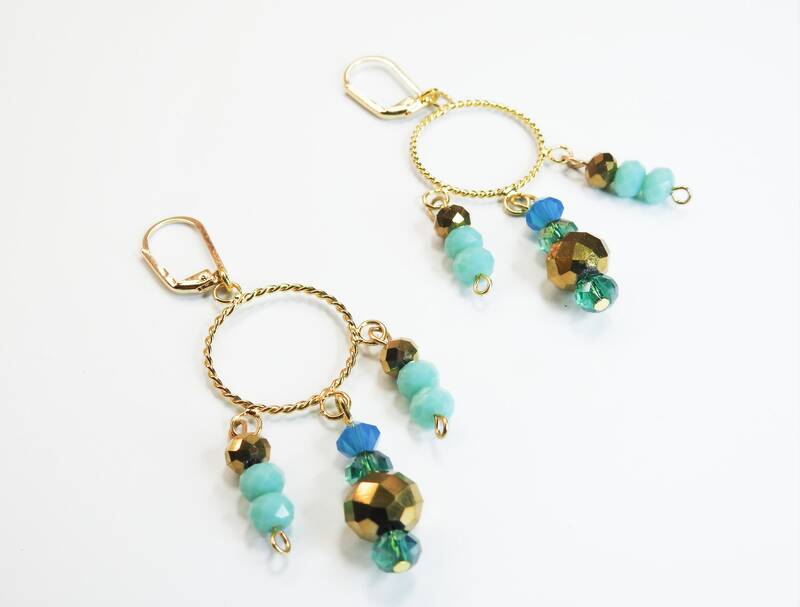 These womens earrings are made from swaroski beads and brass hoops. 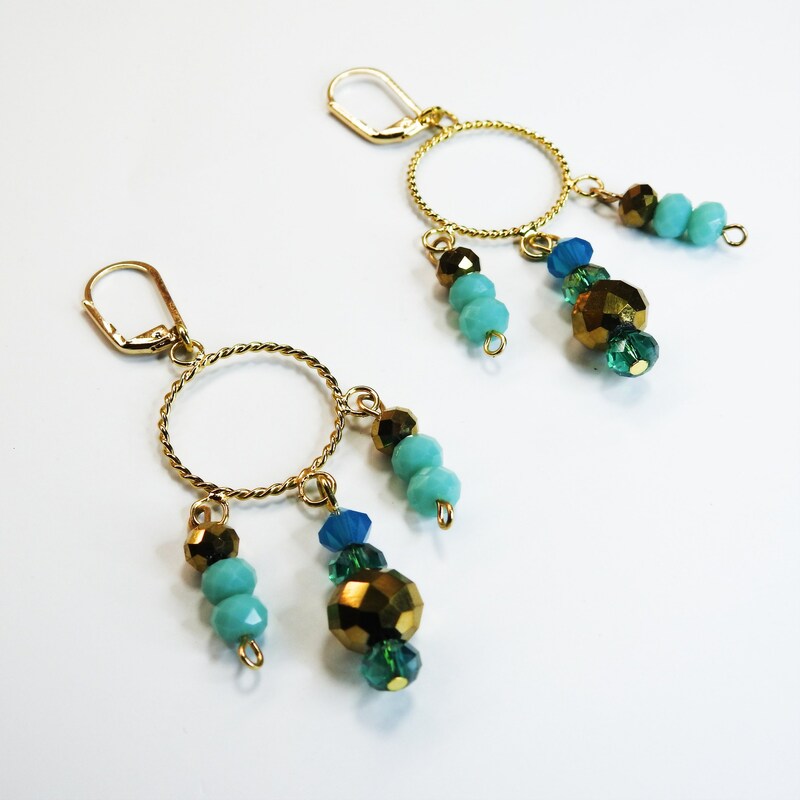 They are very playful and move all the time, you will never go out again without them! 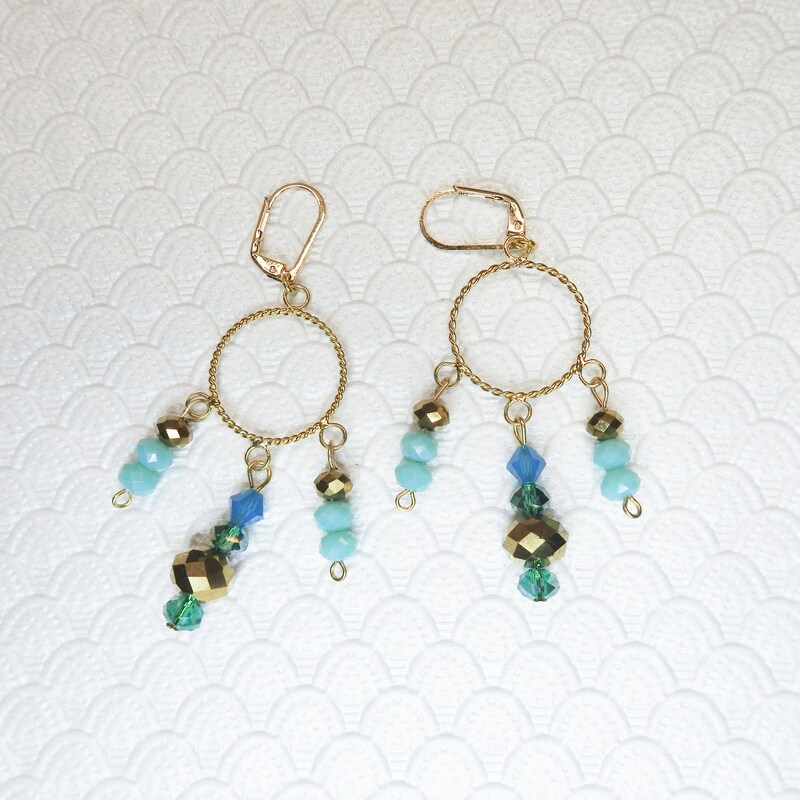 ● Material: brass and faceted beads. 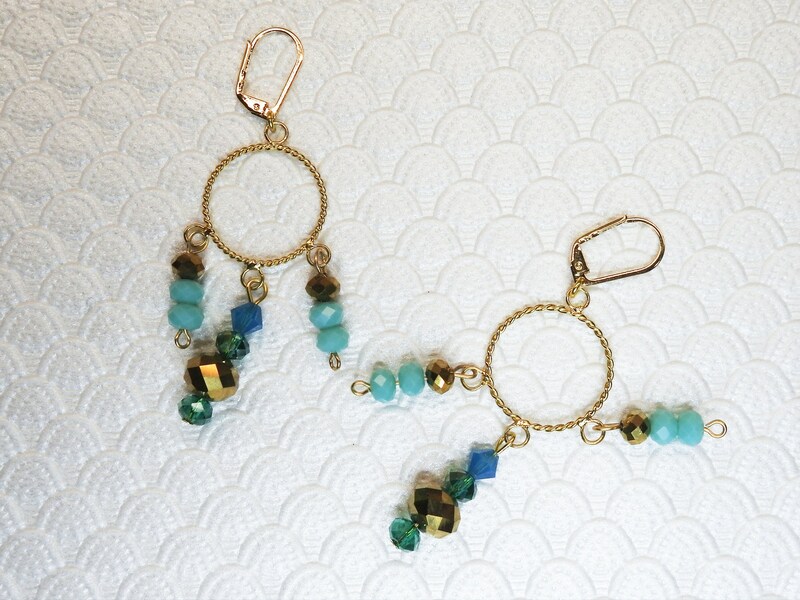 ● Colors: Foam blue, golden beads, green beads. 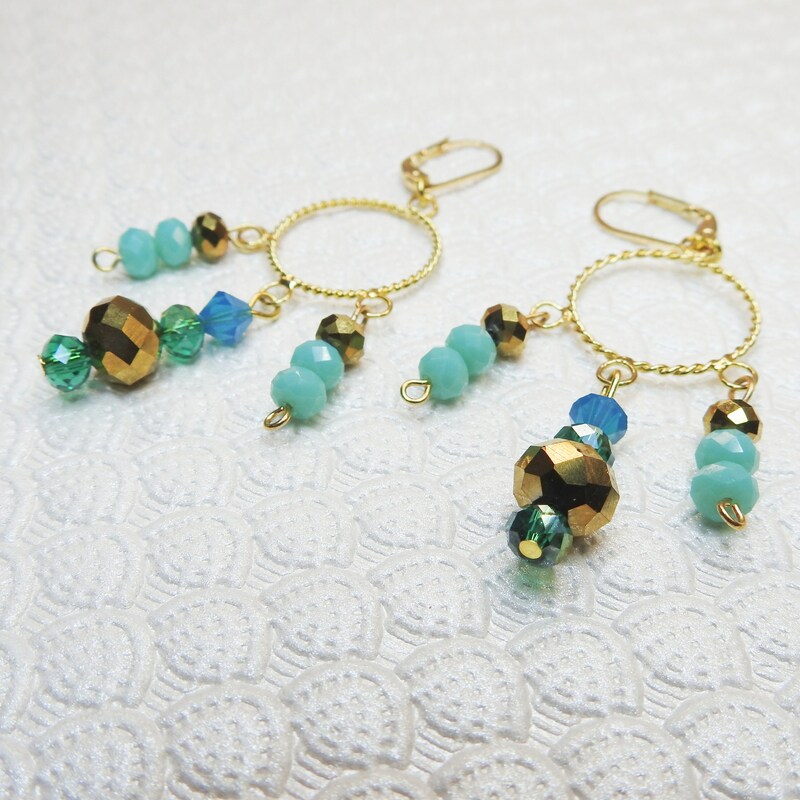 Thank you for exploring this adorable long drop earrings!